A quick and easy version of a classic dish! Halve the chicken breasts, lengthwise. In a large skillet, heat the olive oil. Sprinkle the chicken breasts with salt and pepper and place them in the skillet. Brown the chicken breast halves on both sides. Stir in the spaghetti sauce and reduce heat to low. Cover and cook for 8 to 10 minutes, or until chicken is cooked through. Sprinkle the Parmesan cheese evenly over each piece of chicken. Then sprinkle the mozzarella cheese evenly over each piece of chicken. Let the heat from the skillet melt the cheeses. Serve immediately. 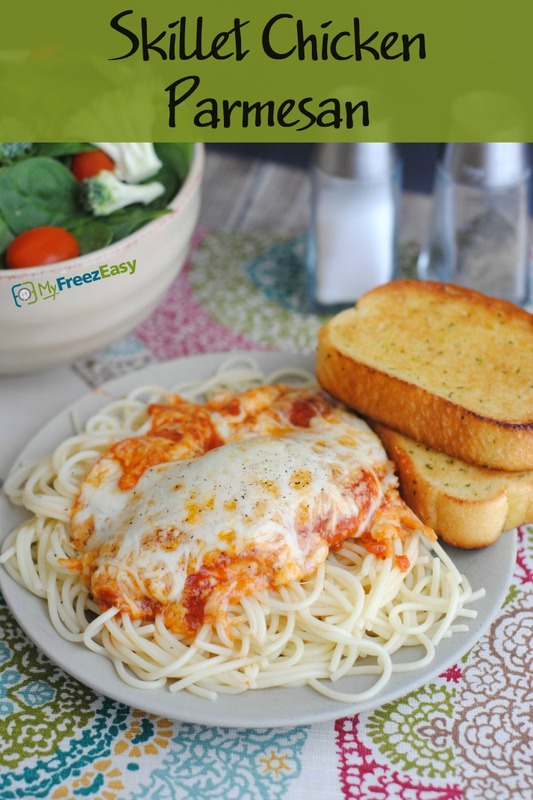 Serve Skillet Chicken Parmesan over pasta with salad. Halve 8 small chicken breasts, lengthwise. Put baggie in the freezer and freeze up to 6 months in fridge freezer or 12 months in a deep freezer. Thaw in the fridge overnight, or a warm bowl of water for about 20 minutes, before transferring the chicken and sauce to the skillet. Cover and cook over low heat for 15 minutes, turning chicken once or twice. Once the chicken is cooked, add the cheeses on top as directed. Thaw and add chicken and sauce to skillet. Cover and cook over low heat for 15 minutes, turning chicken once or twice. 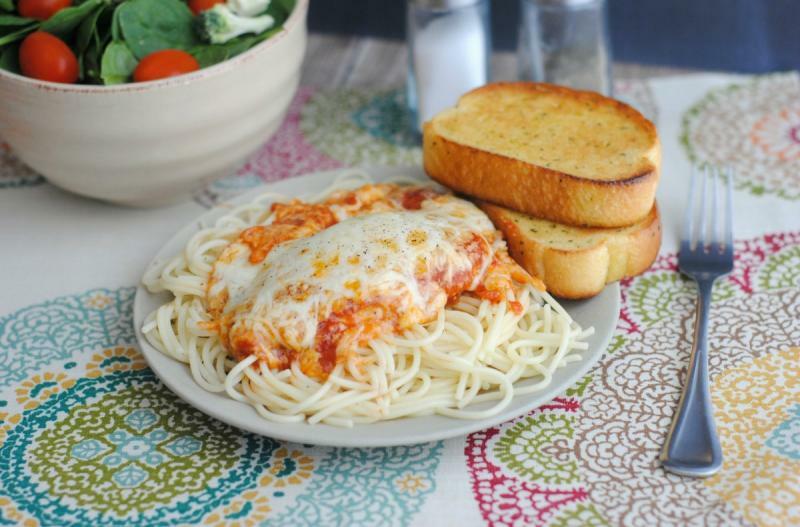 Once the chicken is cooked, add the Parmesan and mozzarella cheeses on top. Serve with pasta and salad.